BEAR CREEK GUEST RANCH is one of the oldest and most physically attractive ranches in the entire country. It lies in the heart of the northern Rocky Mountains at the foot of Glacier National Park, the "crown jewel of the continent." 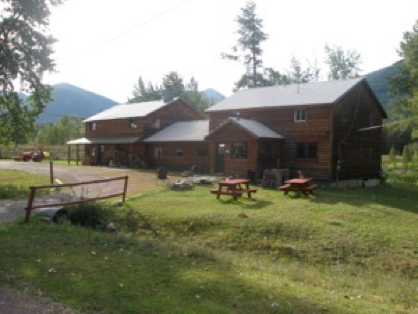 Bear Creek Guest Ranch is located seventeen miles west of East Glacier Park, easily accessible by car on Highway 2. The ranch has become known for its Bed and Breakfast Adventure Packages featuring not only wonderful cabin and lodge accommodations, and wonderful breakfasts, but in addition a hiking and horseback riding program second to none. Eat breakfast, fish Bear Creek for brookies and cutthroat, and then ride the mountains, the foothills, or move cattle in the ranch's sand arena. Plan on eating dinner at one of the area's fine restaurants. 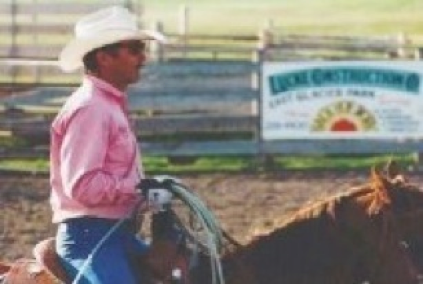 Call the ranch at 406-226-4489 or email : bill7777@hotmail.com, or through www.bearcreekguestranch.com. Ask about the Spring Fling, North American Indian Days, and the Northwest Montana Fair. You'll love the ranch. Since 1933!